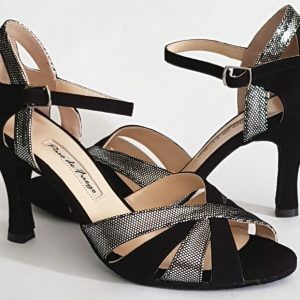 Paso de Fuego, Dance Shoes , Black Suede, Dark Silver mix, comfortable foot padding and Suede leather sole. Please select Size, Heel Height, Sole and Width before adding to Cart. 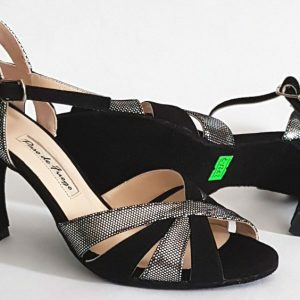 If your Size is not avaliable, please order delivery time will be 2 to 4 weeks. 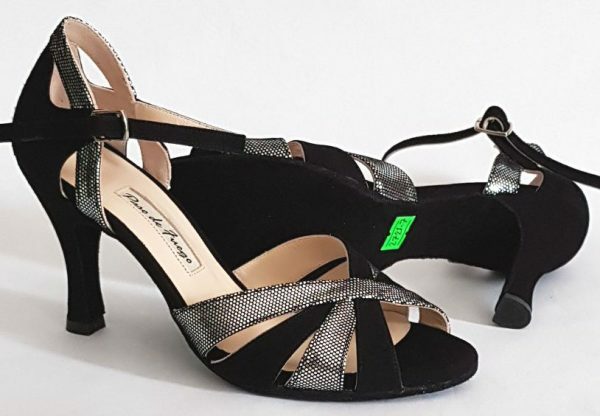 Paso de Fuego, Dance Shoes , Black Suede, Dark Silver mix, comfortable foot padding and Suede leather sole. 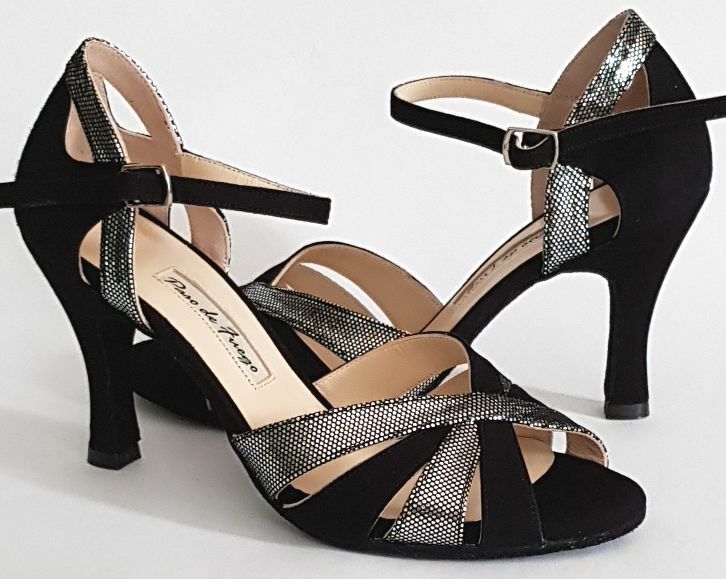 Suitable for Salsa, Bachata, Kizoma or Standard Dancing. Fits Medium to Wide Feet.